On this page, we will be featuring our Senior Instructors and Branch Representatives around the World. Full Contact Karate in India owes its existence to one man's efforts. He is Shihan Dadi Bulsara, who trained personally under Sosai Mas Oyama, Kancho Hideyuki Ashihara and by other Japanese Masters like Shihandai Yuzo Goda, Hatsuo Royama and also Shihan Peter Chong of Singapore. After a long training stint in Japan, Shihan was appointed the Country Representative and for many years developed the Kyokushin style of Karate in India. Shihan officiated at the 10th All Japan Championships where Ninomiya Shihan became the champion. Being impressed by his performance, and with Kancho knowing of his determined attitude, he was invited to the Ashihara Honbu dojo whereafter he switched to Ashihara Kaikan. He, together with Sensei Weilgama of Sri Lanka, was the first foreign dojo to become members of the NIKO. He visited Japan on a regular basis and was the highest graded foreigner under Kancho Hideyuki Ashihara. After many years of hard work and dedication, Ashihara Karate has spread all over India with more than 100 dojo in most states with an estimated membership of 30 000. Classes are also conducted in many states for members of the Police, Army and other active uniformed services. Apart from all this, there are also special classes especially geared for the physically handicapped and the blind. 1960 - born September 26. 1978 - Started training in Judo. 1980 - Started training in Karate - with Philip Moustache and others in Kime Ryu, a mixed system. 1983 - Met and trained with Henry Naiken who currently heads his own school called Aikendo. 1985 - Restarted with Philip Moustache. Became a founder member when the school joined the Ryobukai Karate do. 1987-1993 - Left for studies to California, USA. During that period trained with Sensei Kiyoshi Yamazaki (7th Dan) at his Anaheim dojo. Also did Moo Yea Do with Tiger Yang, a 9th Dan Actor at his Fullerton Headquarters. I also spent time training with the Shotokan and Full Contact clubs at the California State University of Fullerton. 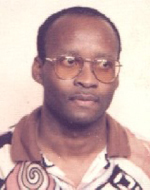 1993 - Returned to Seychelles as a Nidan in Ryobukai Karate-Do. Opened my own dojo under the Ryobukai banner and joined the Seychelles Karate Federation. 1995 - Competed in the First All Africa Knock Down Karate Championships in Cape Town, South Africa. Whilst in South Africa, met with Hoosain Narker and after discussion was impressed and decided to join Ashihara Karate. Later that same year, returned to South Africa with a group of students for a two weeks intensive training course at the Honbu dojo. 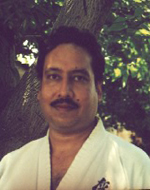 1996 - Invited Shihan Narker to Seychelles to conduct a gasshuku and grading. 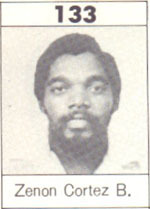 1997 - Elected Chairman of the Seychelles Karate Federation. 1998 - Manager of the Seychelles All Styles team that placed Second in Germany. Currently working as Finance Controller of the Seychelles Housing Development Corporation, the largest Mortgage lending institution in the Seychelles. He holds a Phd degree in Business Administration and is a Certified Public Accountant. He also operates an accounting firm (Moustache Associates) . Started learning Kyokushin Karate under Shihan Dadi Bulsara from 1975. Continued off and on till 1981. Practised with Shihan Dadi Bulsara from 1990 till present whenever I am in India as Ashihara Karateka. Practised with Sensei John Walsh in Sunvalley, Ca, USA between 1986-1988. In 1988 Joined Burbank YMCA Dojo and started training and assisting Sensei John Walsh, Sensei Mark Crescitelli - Yondan, Shihan Brian Bastien. In 1993 started teaching at a new Branch of Burbank YMCA at Reseda YMCA.Continued as assistant instructor at Burbank & Reseda YMCA Dojo till 1997. I was also the Chief Instructor for junior classes. Attended numerous Tournaments, Camps and Seminars including Seminars conducted by Shihan Bobby Lowe and Shihan Steven Coriggal on Advanced Self Defence Techniques for Kyokushin Instructors only. Separated from Burbank & Reseda Dojos in 1997 and started teaching Kyokushin Karate on my own in Los Angeles County and in Palm Desert. I am still practicing with Shihan Mark Crescitelli whenever I have the opportunity. I have been a student of Shotokan Karate under Sensei Anil Sinha in Calcutta India. I have been a student of Judo under Sensei James Chen in Calcutta India. 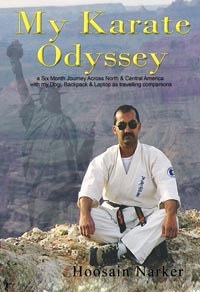 I have been a student of Tai Ki Ken and Jiu Jutsu in USA. Recognition: Received numerous medals, certificates and trophies including a Presidential Certificate from President Bill Clinton in 1996. Mr Zenón Cortéz Becker started his Martial Arts studies in 1976. He was elected to represent the republic of Panamá in the 2nd World Open Karate Tournament ( Mas Oyama Karate), in Tokyo - Japan in 1979. On April 17, 1981, he received the shodan from his instructor Shihan Jorge Bustos Padilla, ambassador of Kyokushin system in Panamá. 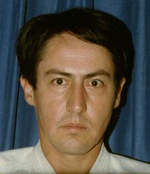 Worked as the bodygard of Mr. Ricardo de la Espriella, President of the Republic of Panamá in 1982. Received his nidan in the kyokushinkai system on march 11, 1983 from his instructor Jorge Bustos Padilla. He is the director and chief instructor of the group Strongest Karate, which he founded in 1984. Mr Cortez was awarded with his sandan on the 17th of March, 1985, again from his instructor Shihan Jorge Bustos Padilla. Organized the tournament Say NO to Drugs, in April of 1985. In this same year (1985), he resigned from the I.K.O. to become a member of the New International Karate Association - Ashihara Karate. Organized and directed seminars on personal defense entitled "Yes to Defense - No to Drugs" , at elementary schools in 1987. In 1988 he certified five of his instructors to establish their own dojos. Directed the first Karate tournament at elementary school level in 1989. Refereed the little league tournament " Say NO to the Drugs- second version ", in 1990. 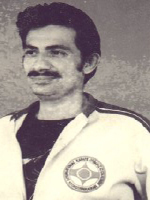 In February of 1991, he conducted the first seminar "" Portobelo Camp Training "". Organized the ""Panamá Viejo Training Camp"" in October of 1991. Awarded with a certificate in Sports Medicine by the Society of General Medicine and Sports Institute of Panamá (INDE), in 1993. Supported the Promoton - 94, sponsored by the Club Civico 20-30, viewed on National and International Television in 1994. In 1994 he was chosen as the General Director of the Professional United Martial Arts Society (PUMAS), in Panamá. Became a member of the National Commission of Karate (CoNaKa), in 1995. On the 16th of March 1995 he joined the World Black Belt Bureau in order to further his Knowledge in Martial Arts - Pa Sa Ryu System. 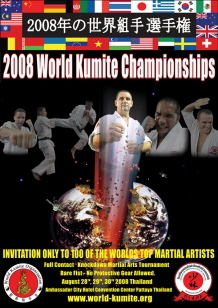 He also organized the first competition in Competitive Karate - or - No full-Contact Karate, in 1995. Awarded with the Weight Lifting and Progressive Resistance instructor on June 8, 1996. Participated in the 3RD seminar on fisiological enhancement on October 12, 1996. Designated on April 8, 1997 as president and representative of The Panamá WBBB, organization of Full-Contact Karate Groups in Panamá. I began my karate training at the age of 14, my first teacher being Fumio Demura Sensei, of Santa Ana California. I probably would have continued but funds at home got tight and I had to drop out after about six months. That brief exposure had instilled my love for karate and I had no idea then that I would pursue martial arts instruction for the remainder of my life. In 1969 I joined the US Marine Corps and wound up in Recon training, Jump School, Ranger School and the Scuba course. Not only did it enable me to see different parts of the world, I also served a stint in Vietnam. This exposed me to numerous karate styles and their teachers. Once again I could continue my training, in Okinawa, in the Philippines, in Panama and in Southeast Asia. While assigned to Recon at Camp Reasoner, South Vietnam, our Company Commander also provided training. When we were not on patrol we trained. Our dojo was a handball court, we shared a variety of technique and kata. After the experience of Southeast Asia, in 1971 I was assigned to Camp Pendleton in Oceanside California. Again I could not stay away from training. Most of the Marines were training in Shu Do Kan Karate in town and I joined in. My teacher was Sensei John Broderick, a tough and nasty looking man very good at Kata and a skillful fighter. My Sho Dan and Ni Dan grades cost me numerous bruises and sprains as Broderick Sensei was of the old school, I trained with him until 1974 when the Marine Corps transferred me to Massachusetts. Here I discovered Isshin-Ryu Karate in which I eventually gained Yon Dan. I trained with Sensei's Chester Holubecki, Chris Stevenson and Lewis Lizzote. I left the Marine Corps in 1976 and stayed in Massachusetts to pursue my education. 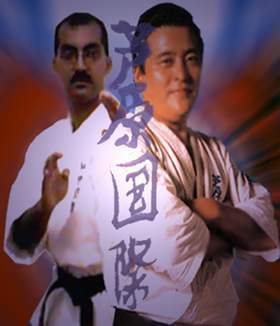 I continued with Isshin-Ryu and in 1979, I met Sensei Noriyasu Kudo, a powerful judo and karate man who became my sensei. Kudo Sensei proved to be one of the best teachers of karate I have ever had the opportunity of training with. He had the ability to determine if you were a visual, an auditory, or a demonstrative learner and he adjusted his teachings accordingly. This enabled me in my later teaching career to understand the different methods of learning. After training for six years which included teaching five days a week for four years, he awarded me with my Go-Dan rank. In that same year, Kudo Sensei introduced me to Shihan Joko Ninomiya, the US chief instructor for Ashihara karate. Kudo Sensei had started training with Shihan a few months earlier and was learning this new application and had told me that my next stage of training would be Ashihara Karate. He advised me that we would practice Ashihara Karate from that day onward and as I had total faith in him, my reply was, "OSU"!!! Finally in 1986, Kancho Ashihara personally came to train and test our progress. Kudo Sensei was honored with the Yon Dan Grade, and I was honored with the San Dan Grade. Kudo Sensei had emptied his cup by realizing that there was so much to learn in this new strategy of karate that he did not mind receiving a lower rank. I followed suit, he was my teacher. I had joined the US Air Force Reserve in 1984 and in 1988 they offered me a full time position as a recruiting supervisor, and again I was on active duty. I was transferred to San Antonio Texas and opened a small dojo with a select group of students training and teaching three days a week. That same year Shihan Ninomiya had formed Enshin Karate and we followed him. I continued in San Antonio for three years when luck came my way when I was transferred to Denver Colorado where the newly established Enshin karate Honbu (Headquarters) is located. For the next three years I had Shihan on my doorstep and I made full use of this opportunity by training, questioning and learning as much as I could of Enshin karate. In 1994, someone got the bright idea of transferring me to Homestead Air Force Base, Florida. Hurricane Andrew had destroyed the base and my assignment was to resurrect the recruiting program. Making use of the local base gymnasium, I ran a small dojo. Finally in 1998. I retired from the U S Air Force. Two years before my retirement, I had put Enshin Karate aside. I continued to train and teach on my own trying to figure out what to do with myself and what direction I needed to go. In February of 2000, along comes Hoosain Narker, whom I had met and trained with years earlier. During that time period, we had corresponded on an ad-hoc basis and when I saw what he was doing for Ashihara Karate, I offered my immediate assistance. At age 50, now in the third part of my life, I realize this is the direction I need to go. A new challenge faces me! 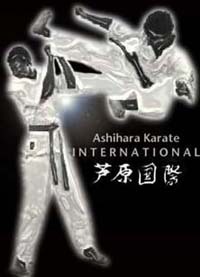 I will be applying my expertise in whatever fields needed for the further advancement of Ashihara Karate International.